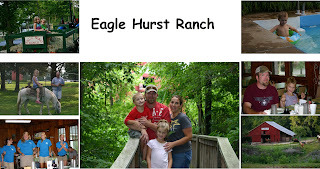 If I told you our adventure at Eagle Hurst Ranch was fantastic you may look at me a bit skeptical....how can a place be totally fantastic? Well I am not going to hide behind my fears of you being skeptical I am going to rate our adventure as fantastic! 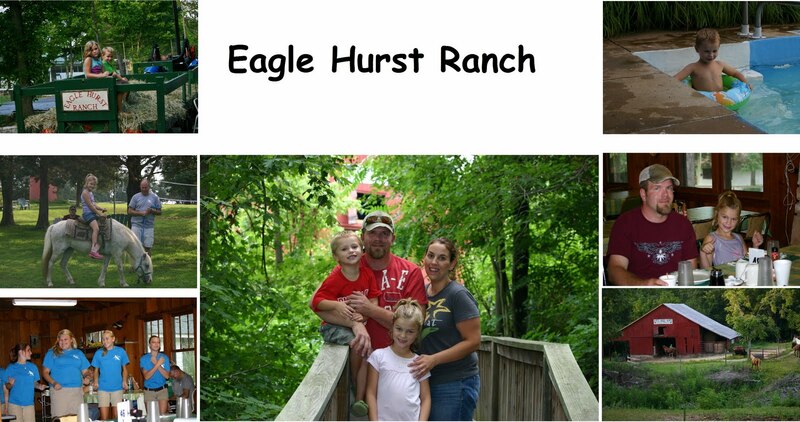 Even my expectations of the ranch were blown away by how great our visit was! I have never returned from vacation completely and totally relaxed and as I was when we returned home from our stay! Now why was this place so great, well let's see how many places can you find that offer hayrides, s'mores, daily tournaments and games, trail rides, pony rides, awesome fun, a friendly staff, secluded location, and not to mention all the cool guest that we met while we there. The other guest that we met give this place a much better review than I ever can; I heard story after story of whole families returning year after year for family reunions, parties, and vacation. One story I heard was woman that had visited thirty plus years ago and was now returning with her young daughter! Wow, you know she had made some good memories at the ranch to return thirty years later with her daughter.